Not to be confused with the Five-second rule of food hygiene, or the two-second rule regarding safe driving, both sometimes known as the three-second rule. The three seconds rule (also referred to as the three-second rule or three in the key, often termed a lane violation) requires that in basketball, a player shall not remain in the opponents' restricted area for more than three consecutive seconds while that player's team is in control of a live ball in the frontcourt and the game clock is running. The countdown starts when one foot enters the restricted area and resets when both feet leave the area. 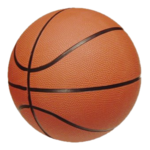 The three-second rule was introduced in 1936 and was expressed as such: no offensive player, with or without the ball, could remain in the key, for three seconds or more. The three-second rule came about in part following a game at Madison Square Garden between the University of Kentucky (UK) and New York University (NYU) in 1935, won by NYU 23-22. The University of Kentucky team did not take their own referee, a common practice at the time, despite advice to the UK coach Adolph Rupp from Notre Dame coach George Keogan, who had lost to NYU the week prior and who warned Rupp of the discrepancies in officiating between the Midwest and the East. The game was rough. UK was unable to run its normal offense (which consisted of using screens) without being called for a foul. NYU's Irving Terjesen and Irwin Klein combined to guard one of UK's major players, Leroy Edwards, allowing him to score a mere 6 points (the lowest output of his career). The New York Post reacted with alarm: "The score says that NYU is the best college basketball team in the country and that the East still is supreme. But if Frank Lane, the referee from the Midwest, had worked the game, it's safe to assume big Leroy Edwards would have been given a fantastic number of foul shots. Minor mayhem was committed on the person of Edwards by Terjesen and Klein. Something will have to be done or the game will become entirely too rough." ^ Rule 5 (Violations), Article 26. 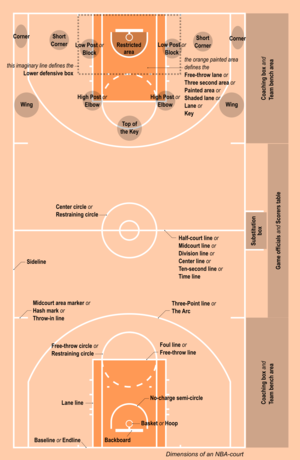 "Official Basketball Rules 2014" (pdf). International Basketball Federation. 2014. Retrieved 2014-03-02. ^ New York Post, quoted in Laudeman, Tev (1972). The Rupp Years: The University of Kentucky's Golden Era of Basketball. Louisville: The Courier-Journal. ASIN B0006C4AOO. , cited in "Leroy Edwards". bigbluehistory.net. Retrieved December 22, 2014.